The classics will fill the void in the absence of a national senior singles tournament. Competition in the KiA Motors Da Silva Classics will be in the singles and menâs over 50âs doubles, with entries expected for both males and females players. Apart from bragging rights of being crowned the inaugural winners of the tournament, the winners will receive prizes. Registration Forms for the tournament are available at the GTC headquarters, and participation is absolutely free. Entries close next Wednesday, with several top players, including former national singles champion Deron Grant, in the hunt for the impressive silver ware that is up for the taking. At the other end of the spectrum are the likes of Syd Hazell and his side kicks, who will compete in the 50 and over category. 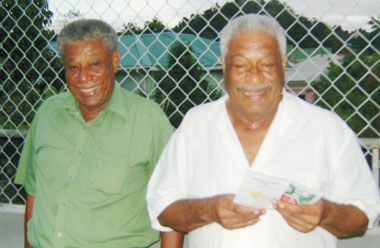 And, there is a permanent marriage between the Da Silva brothers (Casper and Bertille) and Tennis in St. Vincent and the Grenadines, with the Grassroot Tennis Club, being the latest offspring of the union. The GTC is the home of a property bought by the brothers over three decades ago, thus ensuring that the social barriers were broken down, allowing more persons an opportunity to play the sport. The brothers are themselves accomplished players. The classics are a way of paying homage to the duoâs input and continuing their legacy.